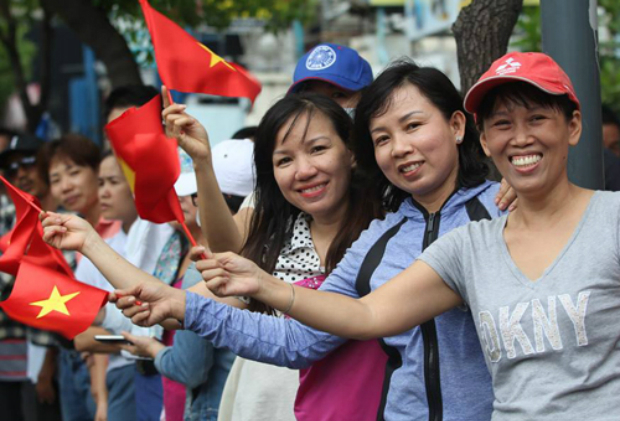 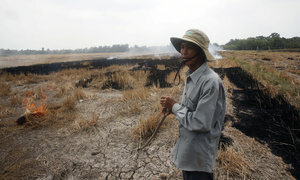 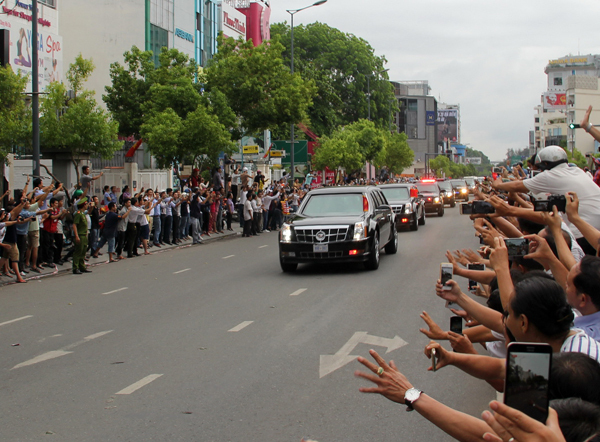 Air Force One carrying U.S. President Barack Obama has landed at Tan Son Nhat International Airport today at 3:55 p.m. Thousands of people are waiting for him along the streets of Ho Chi Minh City. 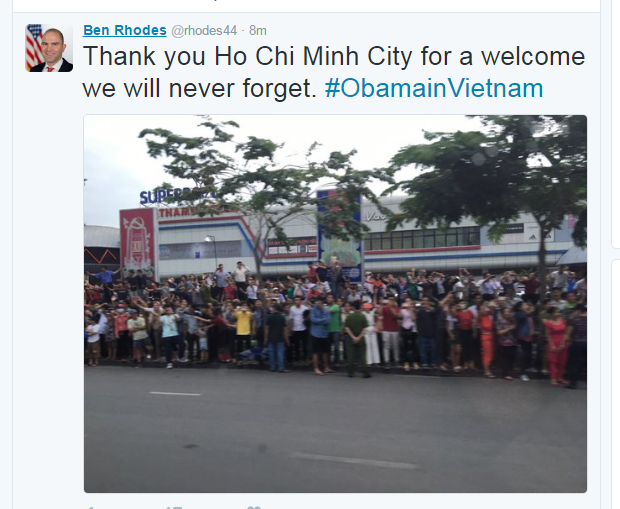 Ben Rhodes, U.S. Deputy National Security Advisor for Strategic Communications & Speechwriting, twits about Saigoneers welcoming Obama. 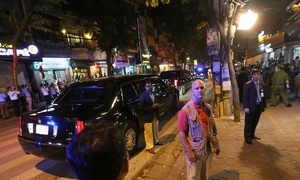 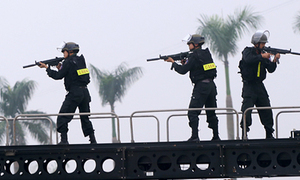 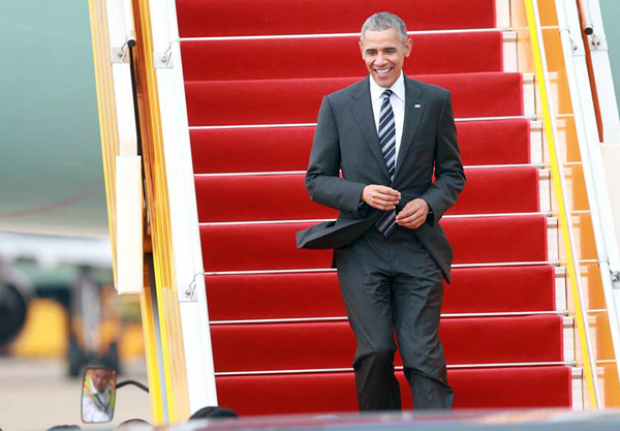 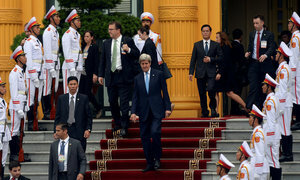 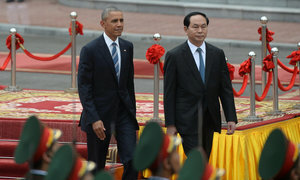 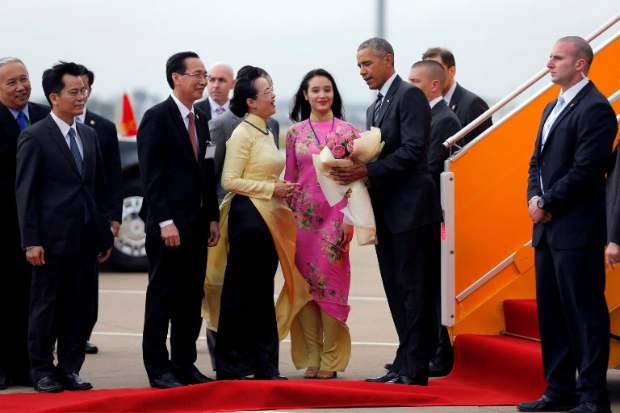 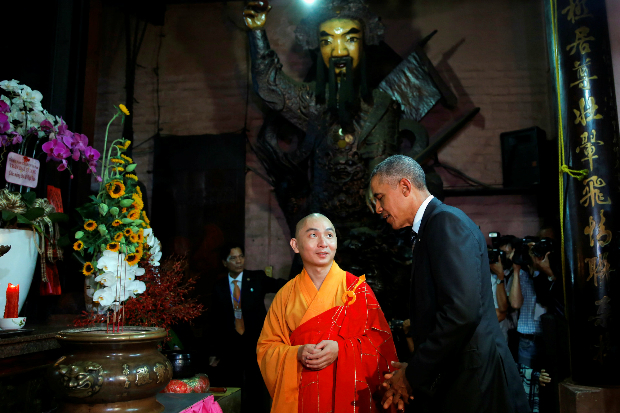 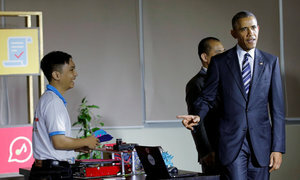 Straight from the airport, Obama headed to Jade Emperor Pagoda in central Ho Chi Minh City. 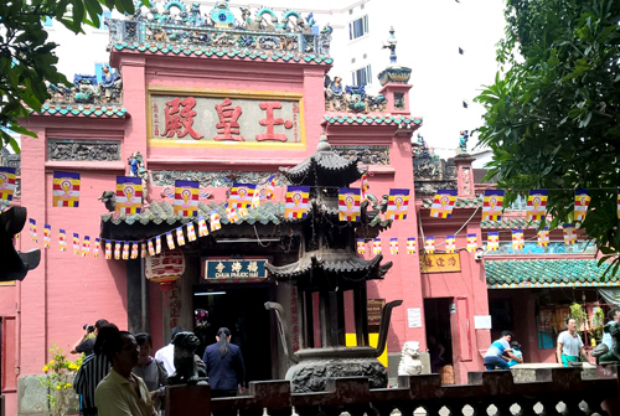 The pagoda covers 2,000 square meters and sits opposite office buildings in a discreet well-covered neighborhood on Mai Thi Luu Street in District 1, just 100 meters away from Dien Bien Phu Street. 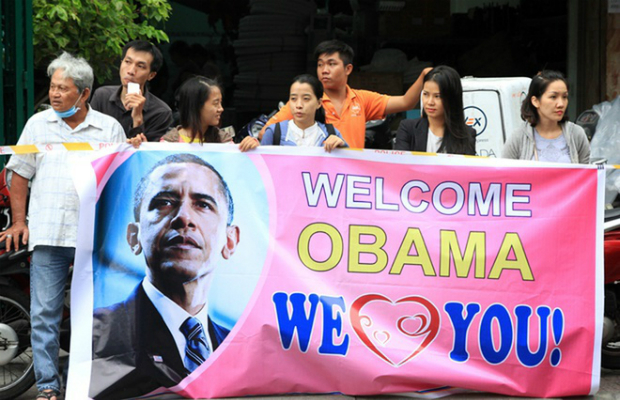 Roads in the airport have been sealed off during the time Obama's delegation is welcomed. 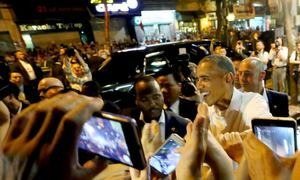 Despite light rain, hundreds of people were waiting to greet him on the streets leading to Intercontinental Hotel, where Obama will be staying.